Raise your hand if you remember this kid!! 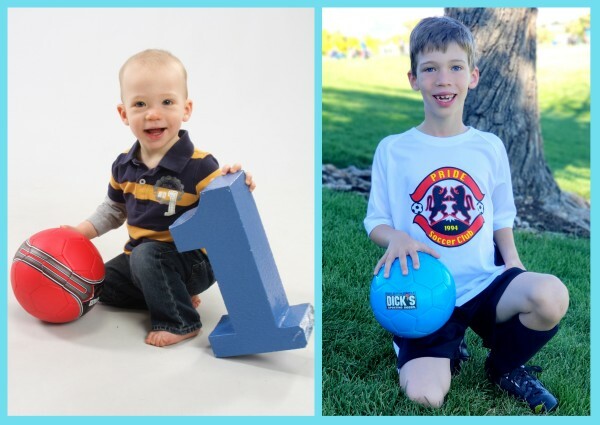 OH MY…the kid whose first word was “ball,” the kid who was only motivated to start walking when his Aunt and Uncle gave him a soccer ball for his first birthday and he realized he had to walk to kick it, the kid who has now had TWO ball birthday parties…this child has always loved balls!! If you’re in the mood for some throw-back videos, check these out. The first one just makes me laugh so hard!! And this Fall, Elliott was FINALLY on his first official soccer team. Look at how big my baby boy is!!! God ordained an interesting order of events that landed Brian the title of “Coach” and our dear friend Trevor the title of “Assistant Coach.” (Kari and I might have had something to do with that…let me just say that some days I think we could take over the world if we wanted to…mwahahahaha….) 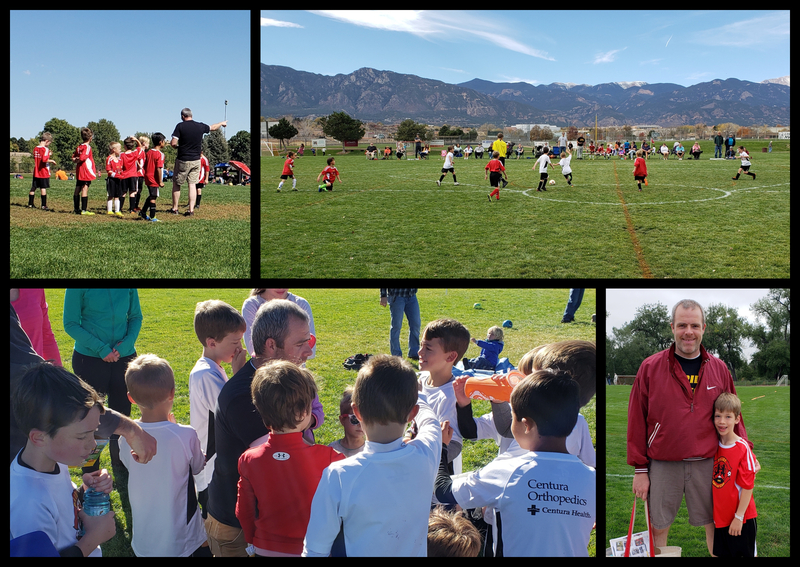 Elliott was THRILLED beyond belief to have his daddy coach him and, although some might call me “bias,” I will say that Brian was the best soccer coach on the planet! He was so good with those boys–such an encouragement for their soccer skills as well as their attitudes and hearts. When Trevor wasn’t flying around the world and could be there to coach as well I can say with confidence that those two as a coaching team were unstoppable! We ended the season with two wins, two ties and five losses…but if we add things up the way I do math, we ended the season with 12 boys who had FUN, who were exhorted and encouraged by their coaches, who learned teamwork and sportsmanship, and improved on their soccer skills. It was a WIN all around in my book!! 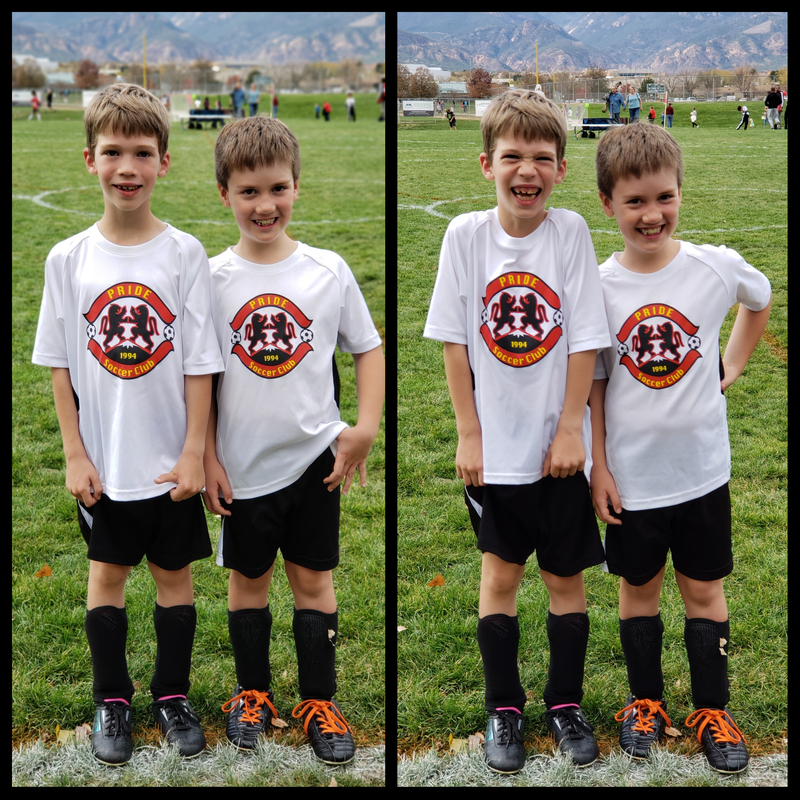 What a fun, first official soccer season!!! YES!!! You could take over the world! Please do. Jk, but good job to all the mighty men pictured above, especially Elliott!! The difference a couple of months make between the end of a school year and the beginning of the next. Elliott definitely looks more grown up and confident. 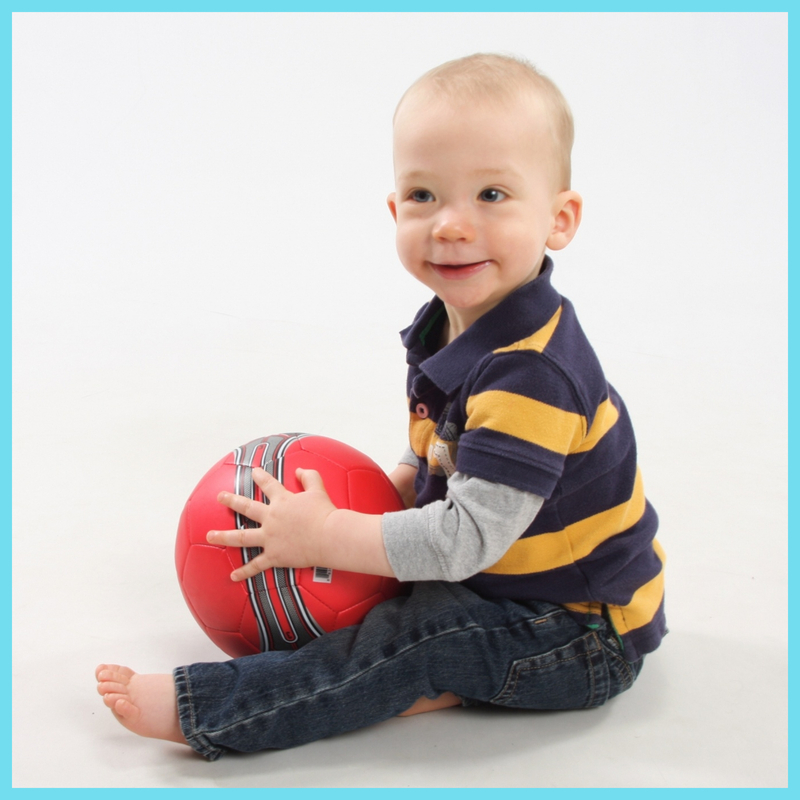 We hope he never loses his passion for soccer! Go Elliott & his adorable team!